Davines Essential Haircare OI/OIL Absolute Beautifying Potion – Which hair oil to choose? – Learn the reviews. 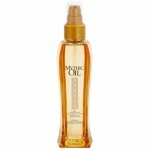 Essential Haircare OI/OIL is a multi-task oil from Davines, which combines caring features facilitating hair styling. OI/OIL from Essential Haircare collection is a harmony of ancient, Oriental oils, which create a formula of universal elixir for obtaining beautiful hair. 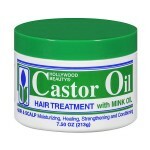 The additional asset of Essential Haircare products is that they are completely eco-friendly. OI/OIL Absolute Beautifying Potion from Essential Haircare collection is a formula which bases on an oil extracted from seeds of Bixa Orellana tree (Amazonian plantations). The preparation OI/OIL Davines was created in such a way to gift hair with delicacy and shine without weighting the strands down. 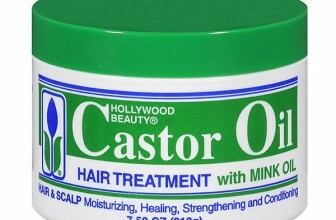 What is more, the formula facilitates combing and taming unruly strands. What is more, the product is enriched with a combination of oily silicones that do not clump hair together yet cover strands with protective layer. Roucou oil (also known as Annatto) – rebuilds hair structure, protects against UV radiation, has anti-oxidant working and accelerates hair growth due to stimulation of hair roots. Palmyra Palm oil (also known as Buriti) – owning to oleic acid and beta-carotene, the oil makes hair more elastic, moisturized, nourished as it protects strands against aggressive external factors. Sunflower oil – smooths, softens and adds shine to hair thanks to diversity of polyunsaturated acids and E vitamin. CONSISTENCY – Davines Absolute Beautifying Potion has a typical for this kind of products texture, which is not too liquid – this feature makes application easy. 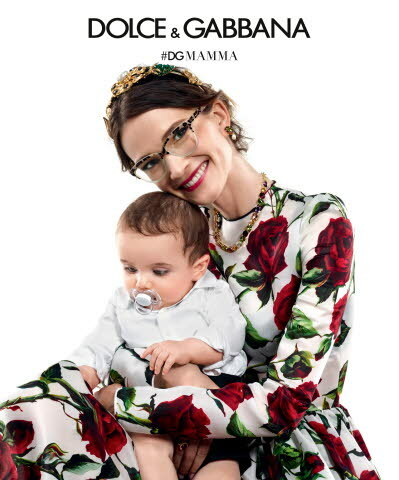 Even fairly frequent use of Davines oil does not weight hair down, however, it may trigger split ends. FRAGRANCE – Essential Haircare OI/OIL is characterized by very pleasant scent which coats hair with delicate aroma of Amazonian forests. 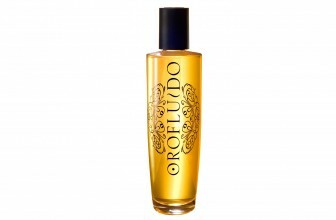 The fragrance holds on hair up to several hours. EFFICIENCY – OI/OIL Davines is a very efficient formula which at regular use (even a few times per day) covers a six-month treatment. Obviously, if applied less frequently, its efficiency is increased. 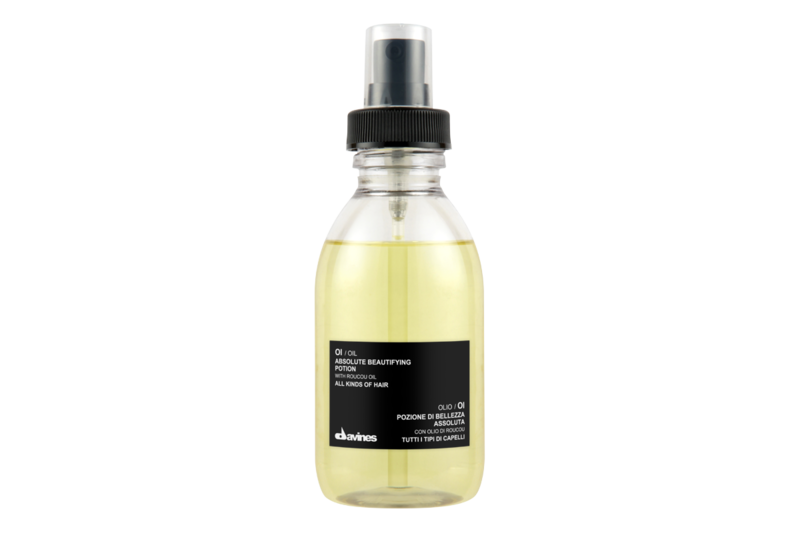 OI/OIL Absolute Beautifying Potion from Davines Essential Haircare collection can be applied both ways – as a hair finish product or as a cosmetic facilitating hair styling. With this in mind, the product can be applied either on the lengths and ends of hair, or on damp hair right before blow-drying. 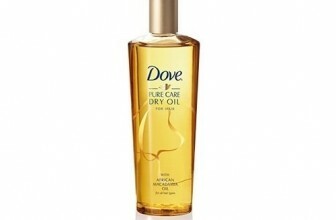 I really want to have this oil but it smells bad. I mean really bad! 😕 Should I buy it anyway? Is it worth it?